WASHINGTON, D.C. – The House just passed the Save Our Seas Act, which the Senate passed last year. It calls on the Executive Branch to get the U.S. State Department more engaged in addressing marine debris. The State Department would do this by working directly with countries that have been identified as significant sources of ocean plastic. This process will help open a dialogue about potential solutions, including waste management infrastructure, to reduce trash leaking into the marine environment. 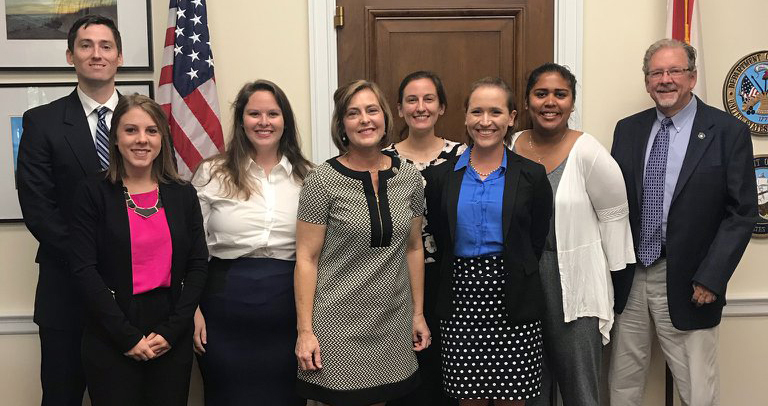 Not only is Congress recognizing the marine debris problem is global in nature but they are also recognizing that the State Department has an important role to play to make a meaningful reduction in the amount of trash flowing into our ocean. It reauthorizes NOAA’s Marine Debris Program for five years at a maximum of $10 million per year. This is important because as the federal budget continues to be squeezed, programs are being pitted against each other for limited funding. While many federal programs operate with expired Congressional authorizations and still receive appropriated funds, a program that has specifically been reauthorized by Congress is more likely to be prioritized for funding during the annual Federal budget process. In short, being authorized by Congress is a clear signal that your program is a priority and is likely to be protected from budget cuts.